The Actuarial Science Scholarship was established in 2006 by alumni and friends of the College of Natural Science. This award is intended to encourage undergraduate students interested in an actuarial profession. Recipients shall be deemed worthy on the basis of actuarial coursework, passage of at least one of the National Society of Actuaries Exams, a letter of recommendation from an actuarial instructor and the acquisition of a summer actuarial internship. Paul Buben established this scholarship in recognition of the rigorous academic curriculum, personal talent and dedication required to earn a degree in Actuary Science from Michigan State University. This scholarship intends to recognize the outstanding academic achievement required to succeed in Actuary Science and help students achieve academic excellence at Michigan State University. 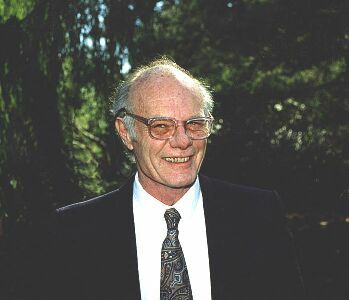 Paul Buben was born in Flint, Michigan and graduated from Michigan State University in 1950 with a Bachelor of Arts in Mathematics. He received his Masters in Actuary Science from the University of Michigan. James P. Conlon ("Jim") graduated high school from Cedar Lake Academy and was drafted into the United States Army in 1952. While in the army he completed extension courses in Mathematics and upon his discharge completed his Associates Degree at Grand Rapids Junior College. Jim then transferred to MSU where he earned his undergraduate and graduate degrees, majoring in Mathematics. He went on to teach High School mathematics in Belding High School until his retirement in 1987. During his teaching career he continued his passion for mathematics spending his summers in 14 different colleges taking mathematics courses, eight of those at the National Science Foundation Institutes. Jim's goal for this scholarship is to assist a mathematics student with their educational pursuits. Dr. Paul Dressel’s career at Michigan State College spanned many years, beginning in 1934. Dr. Dressel taught in the Mathematics Department and was often tapped for special projects by President John Hannah during his tenure at Michigan State. Dr. Dressel was responsible for the establishment of both the Counseling Department and the Board of Examiners. Mrs. Wilma Dressel was a mathematics major at Michigan State and established this scholarship for students in mathematics, knowing how difficult funding is for many young people. Recipients shall be undergraduate or graduate students selected based on academic achievement, professional goals, student status and financial need. Recipients should be fluent in English. The Herbert T. Graham Scholarship Fund was established to support high ability students majoring in Chemistry, Mathematics or Physics who are juniors or above with demonstrated financial need. Minimum 3.0 grade point average. Excellence in mathematics education requires igniting students’ pursuit in mathematics and opening pathways into the educational profession. The scholarship, funded through the Kindle Mathematics Endowment, seeks to help support students during their final year of teacher certification so that they can continue on the path of teaching mathematics, and positively influence the lives of many students. Mathematics majors who are currently or will within the next academic year complete all of the requirements for secondary mathematics teaching certification are eligible for this award. Recipients are selected by mathematics and mathematics education faculty based upon the students’ academic achievement, professional plan or accomplishments during the internship. The McCartney Scholarship was established by William A. and Sally L. McCartney, MSU alumni, who had interests in both Theater and Mathematics. They established funds in both departments, wishing to encourage undergraduate students who have demonstrated the capacity to achieve educational and professional goals, the motivation to achieve these goals and the initiative to seek opportunities to further their progress. Dr. Richard E. Phillips joined the MSU faculty in 1969 and served as the Mathematics Department Chairperson from 1991 to 1994. He received a University Distinguished Faculty Award in 1989. Dr. Phillips was an inspirational teacher, researcher and leader, always generous with his time and energy in helping students and colleagues. This award is intended to encourage undergraduate students who have the demonstrated capacity to achieve educational and professional goals, the motivation to achieve these goals and the initiative to seek opportunities to further their progress. Recipients shall be Mathematics majors. Recipients shall be deemed worthy on the basis of scholarship, interest in Mathematics, and helpfulness to the Department of Mathematics. Harold Tolles was a native of St. Johns, Michigan and a 1952 MSU graduate in Electrical Engineering. His minor was in Mathematics, and he believed that the knowledge he gained minoring in Mathematics benefited him his entire life. He and his wife, Helen, were interested in providing student aid to help advance programs within the Department of Mathematics. Graduate students who wish to be considered for a Dressel Scholarhsip, click here to apply. Undergraduate students: all qualified undergraduate students will automatically be considered for scholarships. There is no application form which you need to fill out unless you wish to be considered for a financial needs scholarship. These require you to submit a FAFSA form. It is best to allow two months for your FAFSA form to be processed. To obtain full consideration, you should have your form received by MSU by the end of January.